Bosch has incorporated a motor that utilizes four rare earth magnets. If you are a serious woodworker or craftsman, you need to be able to have access to the right tools that will help you to get the job done. When it comes to producing vertical, horizontal, or inclined flat surfaces, you need a good planer tool that has the versatility to meet all of your needs. 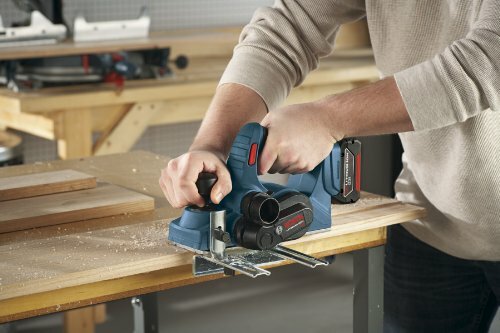 One such tool is the Bosch PLH181K 18-Volt Planer tool and kit. Not only will this powerful tool allow you to make sure that everything fits together tightly, especially when it comes to door and window fittings, but it’s also a very safe and easy tool to use. Check out some of the great features that you will get with this powerful planer tool. The PLH181K utilizes a chip ejection switch that will allow you to choose whether you want to eject wood shavings to the left or the right. This is a great feature to have because it allows you to decide which way you want the chips to go no matter what your orientation may be to the application. Whether you are left or right handed, you can be sure that you will be able to comfortably us this tool without any inconvenience. To ensure that this tool remains smooth during operation, Bosch has incorporated a motor that utilizes four rare earth magnets. By using these magnets, this planer has a higher power to weight ratio which not only provides it with better performance, but an overall lighter weight as well. Thanks to a one-of-a-kind counterbalance design of the single blade system, the carbide blades can be placed accurately at precise cutting angles. It enables quicker operations and reduces the amount of drag. Ultimately, it ensures smoother planning of wood that provides the best surface for any project. Regardless of an outstanding performance, a tool is only useful it does not cause any discomfort of pain when using it. Thanks to ergonomically designed gripping handles of the PLH181K, you can hold on to it for long without stressing out your hands. Moreover, it weighs only 12 pounds making it the lightest planer in its category. A few of its attractive safety features include the ambidextrous edge-guide that mounts on either side as well as a on/off switch with lockable access that protects against accidents. Anything that needs planing is where the planer shines with its functionality and versatility. Woodworking was never this easy. Being lightweight, packed to the rafters with amazing safety and comfort features, blade and motor technology that is at par with the best, this planer is well worth spending for. 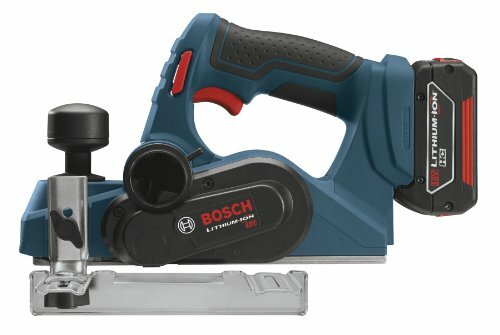 For the Bosch PLH181K 18-Volt Planer Tool and Kit in particular, Amazon.com is an excellent choice. It provides plenty of great deals for this planer and they even ship it out free under the Free Shipping clause. 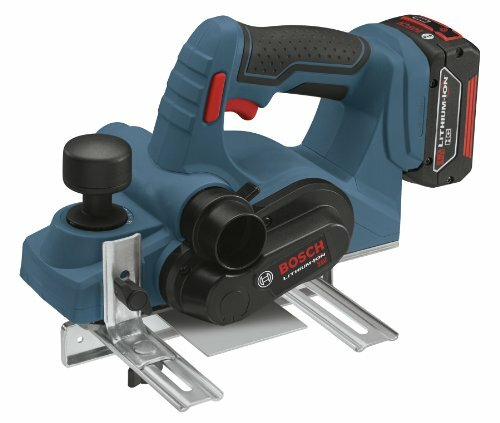 Pros: Longer battery life with quick cutting velocity makes it ideal for major woodworking projects.